Today, Marie-Claude Bibeau, Minister of Agriculture and Agri-Food, announced an investment of over $6 million to help the Canadian Pork industry harness innovation to boost production, strengthen public trust, and expand markets for Canadian pork at home and abroad. The investment was made under the Canadian Agricultural Partnership. Over $3.8 million through AgriAssurance will help launch on-farm programs for food safety, traceability and animal care and ensure compliance for the PigTrace program. Under AgriMarketing, $1.2 million will help promote and expand markets for Canadian pork and $1.1 million under AgriScience will help producers increase their production with efficient feeding strategies. The Canadian Agricultural Partnership is a five-year, $3 billion investment by federal, provincial and territorial governments to strengthen the agriculture and agri-food sector. In 2018, Canada’s pork sector exports were valued at $4 billion and is a top-three exporter of pork in the world. 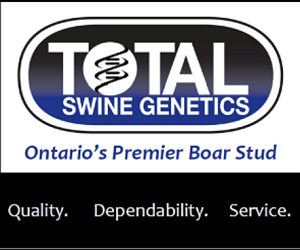 The Canadian Pork Council (CPC) has represented the views of Canadian hog producers for over 50 years. CPC is involved in a series of initiatives including on-farm assurance programs, traceability, animal health, market analysis and market development. The majority of its market development work is delivered through Canada Pork International (CPI).